Our church currently has a 16x4 snake running from our mix position in back of church up and through the attic then back down and into a storage area behind the stage where the stage box hangs on the wall. We are desperately seeking out a total PA overhaul, but the funds are not there yet. But we have some immediate needs. I need to run more of the instruments through the PA but we are out of (working) channels on the snake. I know that whenever we finally do our upgrade the current snake will not be adequate so I was thinking of going ahead and replacing the snake now. My real question is the pros and cons of using a snake vs just running home runs of mic cable. The physical layout of our church does not lend well to fishing an audio snake without some significant demo, but I think that pulling mic lines (without XLR's on the end) would be much more feasible. Are there any major disadvantages to this method? Other than the tedious time it would take to solder 60+ connections. Are there any issues with running this type of cable through conduit? Also on the stage end of things I was thinking of terminating inside of a stage box to eliminate any abuse that install cable is not designed for. I was thinking of something like this: http://www.markertek.com/Patchbays-Wallplates/Breakout-Boxes/Rapco/S6BPP.xhtml?S32BPP but I would like a 40 hole box so I would have the ability to make a 32x8 setup; but I am having trouble finding a box with that many punchouts, I could always get two 20 hole boxes I guess. Any other ideas/suggestions will be greatly appreciated, thank you for your input. Re: Snake vs Home Runs: What makes sense? I need to run more of the instruments through the PA but we are out of (working) channels on the snake. I know that whenever we finally do our upgrade the current snake will not be adequate so I was thinking of going ahead and replacing the snake now. It would make a lot more sense to repair any non-working channels on your current snake (a pretty simple job for somebody with soldering skills who can diagnose the problem) and then add an additional snake for any additional channels you need. Then you don't have to spend the money it would take for a bigger snake to replace what you already have. If you want all your connections in one stage box, you can remove the old snake cable from the old box and solder it into the new one. You can buy snake cable without the connectors or stage box on the ends. It will take a lot less time to fish one snake than to fish separate mic cables through the building. It's pretty standard for an install to run an unterminated snake and then make up the connections to suit the needs of the application after the snake is in place. This is not something I would recommend tackling yourself unless you have a decent amount of experience soldering. I would definitely go with the Neutrik connectors like what you linked to. They are a good solid connector that's a little easier to work with than some others and offer better strain relief than some that I have worked with. I find that one factor in many similar discussions is just what one interprets as a "snake". A snake seems to relate to running multiple audio signals but is it simply a multi-pair cable of any type? A pre-terminated multi-pair cable? A multi-pair cable terminated in some form of stage box? It just seems that many discussions get confusing because people may have varying interpretations of what constitutes a "snake". My perspective is to approach this from the other direction. What may be the most effective cabling approach will depend on factors such as the physical connectivity and the cabling paths. And the physical connectivity will depend on the physical space, your stage setup, the sources, etc. Some people may prefer all the connecitivity at one point, others may prefer smaller number of connections distributed over multiple locations. 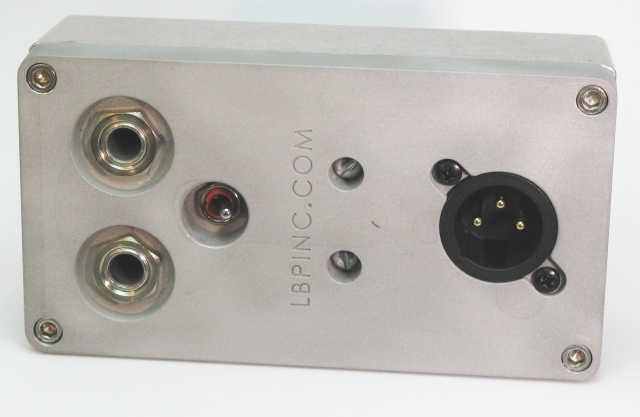 Some people may prefer stage boxes, others connections directly on wall plates or floor boxes and other some combination of the two or even both in parallel, perhaps with multipin connectors for the stage boxes. But in any case, probably the most effective approach is to first determine what would best serve you in terms of the connectivity at the stage and let that drive the cabling approach rather than trying to pick a cabling approach and having that determine what is practical as far as the related connectivity. On a related detail, you mentioned pulling the cable up through the attic, so do not forget that running cables inside walls, between floors and in plenum spaces may require cables with appropriate ratings (CL2, CMR, CMP, etc.). Another possibility to consider is your long term plans for the other system upgrades. It would make little sense to run a bunch of new cabling now if there is any possibility that you may soon be considering some form of digital snake. And speaking of that, if you are going to the effort of pulling new cable then you may want to consider pulling not only some additional audio cable for future expansion and redundancy, but also some UTP/STP cable and in some cases maybe even some fiber. It is often much easier to pull everything at once than to try to add it piecemeal over time. Before pulling a bunch of mic cables, definitely look at a snake. I've done some small church installs using both Seismic Audio and OSP (eBay). 24x8 for around $350. On one we cut off about 6 feet of the fan end and pulled it that way (175 feet through 3 attic spaces). Then we used a 48x2 patch bay($150) with punch downs. It saved a lot of soldering and gave us the flexibility if a patch bay. They both have Neutrik XLRs. The snake is about 1-1/2 inch in diameter. That's smaller than 10 mic cables. Plus, pulling individual cables will cause the cables to twist around each other and you may not be able to run as many as you would like. You can find good used patch bays on eBay for under $50. A punch down tool is about $40 for a good one. The idea of cutting off the fan (or the box end) for pulling and then reassembling may be a good one, depending on the circumstances. Based on my experience, though, I would not recommend anything by OSP - if you want a low-cost snake that is likely to work well for a long time, EWI is the better choice. Also, I would not recommend a TRS patchbay for a live situation - there are too many connections to oxidize creating issues (speaking from experience here). If you need a patch bay, stick with XLR. I would not recommend anything by OSP - if you want a low-cost snake that is likely to work well for a long time, EWI is the better choice. Also, I would not recommend a TRS patchbay for a live situation - there are too many connections to oxidize creating issues (speaking from experience here). If you need a patch bay, stick with XLR. What about the gold plated ones??? I have read about fastening a fish line to the plug end of a snake, then fastening each plug to the line in a neat row. Remember, these snakes usually have a long fanout, so there is enough individual cable to get them all lined up one behind the other. next step, wrap all the plugs in a row and the fish line with clear shrink wrap. Then tape it with electrical tape. Now you have a bundle that is no larger in diameter then the cable behind it and you can pull it. I agree, don't go with TRS. Been there, done that, replaced it when it quit. If you build a patch panel go with XLR. IF the patch bay is plated and IF the patch cables are plated, then maybe - but these are not $50 pieces of equipment as suggested above. I still vote full XLR for a patch panel, or nothing. While patchbays have been used in studios for ages, they are not cheap ones. Good patchbays from a good company like Audio Accessories are going to pretty expensive. They are not to be confused with Switchcraft or ADC bays. Their long frame patch cords (not the same as 1//4" TRS) are probably more than $25 each. Even with high quality bays like Audio Accessories, phantom power can be an issue. Jack with normalling contacts do not like to switch voltage, and may become unreliable. Line level patching via patchbays should be reliable for many years. At my university was we had an XLR patchbay based off-stage left, near monitor world. Directly after it came a 3-way split, 2 iso'd. All the stagepockets came to the top part of the patchbay and could be patched to wherever we desired it. It was clearly marked that the patch panel was for MIC LEVEL SIGNAL ONLY. I know that +48V can cause issues with small arcs when patching, but that should only apply when thigns short (which the XLR design mitigates, correct?). We never had a problem with ours and it made life muh easier knowing that even if we ran out of patch cables, we could always just use a regualr mic cable.